During my tenure at Automattic, brand consistency and documentation has been my most engaging role, resulting in a Design Handbook for the brand as well as a set of standards for other designers in the company to follow. I was in charge of standardizing the WordPress.com logotype from a series os scattered resources. The metrics – sizing, alignment, and safety margins – were meticulously curated to showcase the best possible version of the logotype. 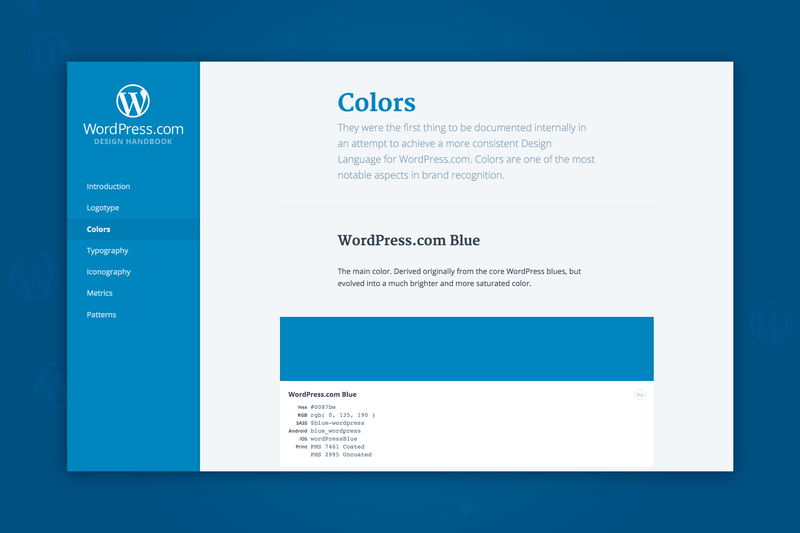 During the course of two years I introduced a palette of new colors for WordPress.com, which are now in full usage and have been iterated upon by other designers in the company since.